Our A La Carte menu is renowned for its selection of carefully prepared dishes, featuring a blend of Namibian and international cuisine. 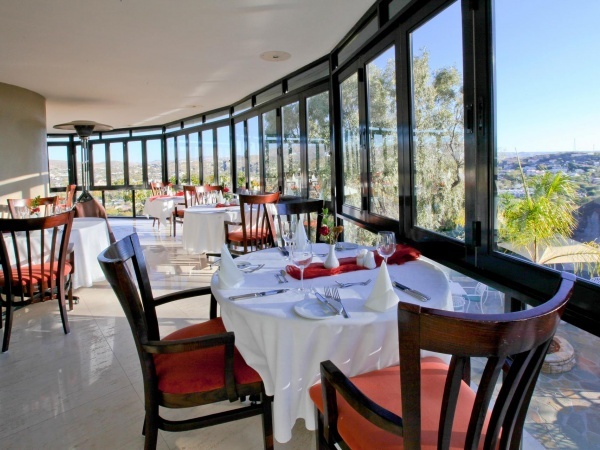 A real culinary highlight; superb dining in an elegant atmosphere and a phenomenal view of Windhoek by night. 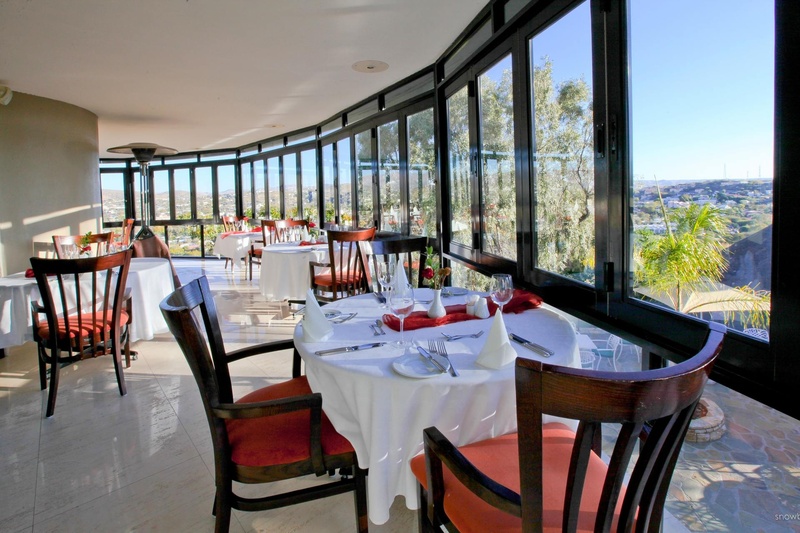 Visit the Hotel Thule Terrace for a scrumptious light-snack or sundowner, best enjoyed with friends whilst overlooking the Sunset over Windhoek. 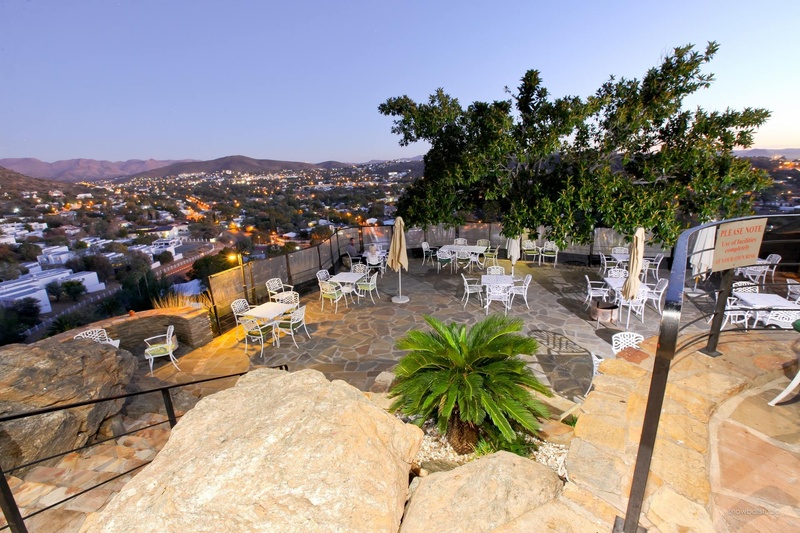 If you are planning an overnight trip to (or through) Windhoek, whether it’s for personal or business reasons, the single rooms offered at Hotel Thule are ideal. Equipped with a workspace (for laptops) and 24-hour WiFi connectivity you will be able to do work from your room. The double rooms offered at Hotel Thule are perfect for a romantic getaway or vacation. The spacious room with a double bed will keep you cozy for hours. 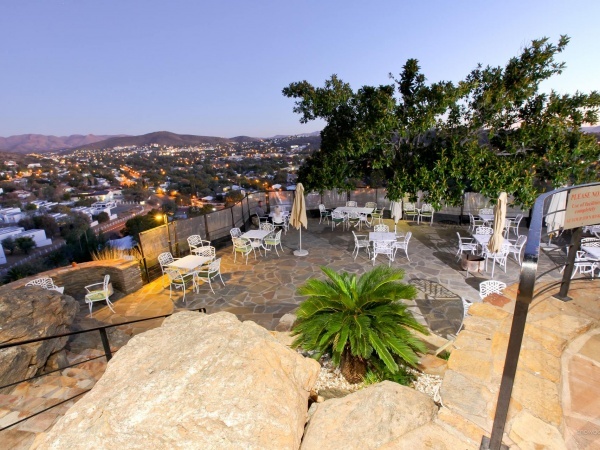 The twin rooms offered at Hotel Thule are perfect for a group of friends visiting Windhoek. The rooms are ideal for sharing the costs of accommodation, leaving you with a bit more spending money to enjoy the local cuisine, arts and environment. Hotel Thule has one Family unit available consisting of two adjoining rooms ensuring that everyone has their privacy. Alternatively you can request an extra bed in one of our large twin rooms. We are happy to assist you with discounted rates for children. Small swimmingpool available for residents. When needed, alternative arrangements can be made prior to check-in and/or departure. Should you arrive earlier, you are welcome to use the hotel facilities and it is possible to store your luggage in a secure environment while you do some sightseeing in Windhoek.